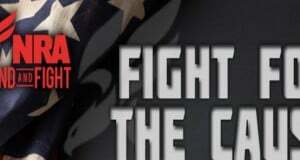 Shooters Union is an international affiliate of the United States NRA (National Rifle Association). This affiliation fits well with the Union’s main role to defend the rights of law abiding firearm owners within Queensland and the Nation.So what does that do for us here in Australia?Well, it gives us affiliation with the largest, most effective and most recognised shooting organisation in the world. It gives us access to information, training events and competition shoot formats, as well as alignment with many other international pro-firearms rights groups which are also affiliated to the NRA. What’s more important, Guns or People? We are continually subjected to inflated newspaper claims that Howard’s ill-considered gun registration has done so much to reduce gun crime that we forget the other aspects to the 1996 gun laws, such as formalised gun safety courses which are a prerequisite to getting a gun licence, the police checks and built in restrictions on violent offenders obtaining a registered firearm.Dr. 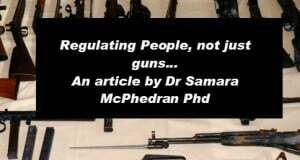 Samara McPhedran PhD, in one of her meticulously researched papers considers which part of the gun laws has had the most positive impact, the laws affecting guns, or the laws affecting people.